Reginald Victor James Bell died one hundred years ago on May 24th 1915 on the battlefield of Bellewaarde Ridge, near Ypres . This year the Royal British Legion is honouring his memory along with all those soldiers who died and are still dying fighting on our behalf by planting a "Flanders Field" of poppies beside the ramparts of the Menin Gate Memorial in Ypres. One of those poppies carries Victor's name. He was a young man from a poor family near Romsey in Hampshire, and what little I know of his war is heartbreaking. He deserved better. Reginald Victor James Bell was my grandmother's brother, the youngest of thirteen. This made him my great-uncle. He should have been in his fifties and part of the family when I was growing up but he died in the mud outside Ypres in Southern Belgium in 1915. His story is that of thousands of young men of his generation. As a child I knew nothing about Victor. I am inclined to be angry that his family didn't do more to honour him, but when I was growing up the memories of the Second World War were still raw, so perhaps it is understandable. Now I have seen his name alongside thousands of his generation on the Menin Gate at Ypres, in Southern Belgium, and I feel it is time to gather together the memorials to his name. I have also updated my page recording what I know of his life. In October 1916 the British government decided to issue a memorial to all those who had died in Battle. 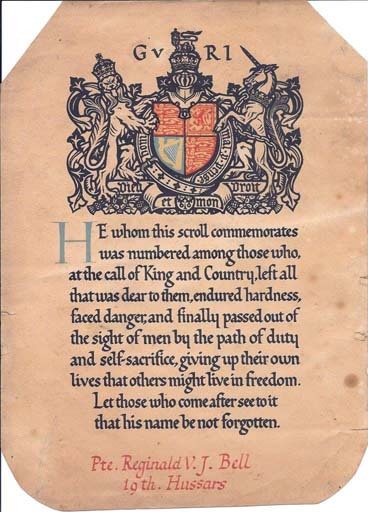 There was considerable thought put into the design over an extended period (more information on the Great War website).The eventual decision was to issue a small bronze plaque about five inches (125mm) across, and an accompanying parchment scroll measuring11 by 7 inches (270 x 170mm) . The plaque looked little like a large penny coin, and it was quickly given alternative names such as the 'Dead Man's Penny', 'Death Penny', or 'Widows Penny'. It is worth noting that the plaque didn't show the rank of the soldier commemorated on the basis that all had made the same sacrifice. The scroll was printed in calligraphic script and the name was added by hand. The plaques and scrolls were distributed soon after the end of the War in 1918, and Victor's family still have his plaque along with his scroll. 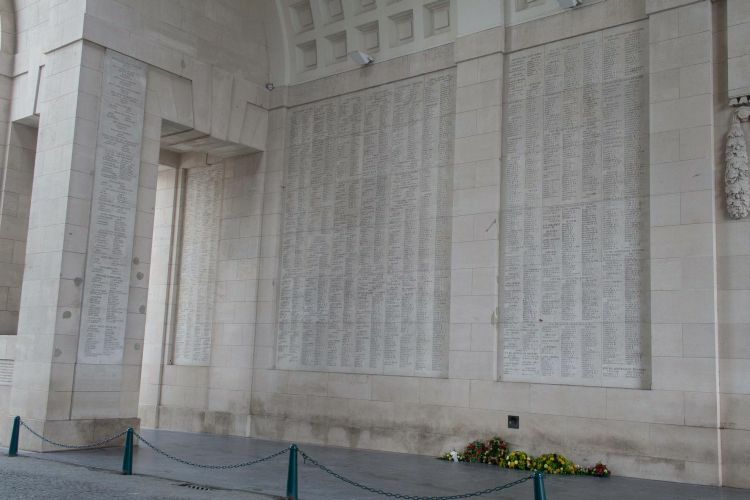 Victor's name is commemorated on the Menin Gate at Ypres. I was surprised that so few of his regiment were in his panel. 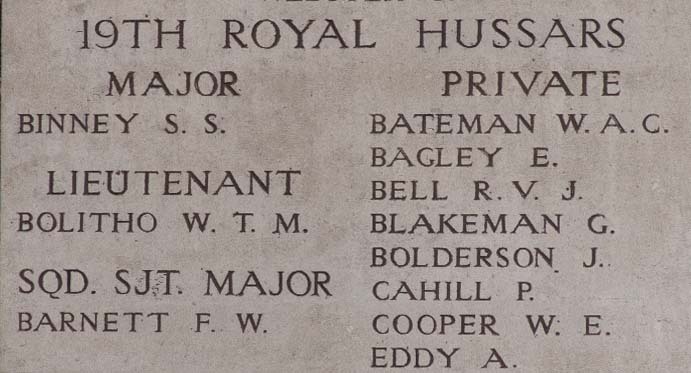 The 19th Hussars were heavily involved in the second battle of Ypres, but I haven't seen them mentioned particularly in connection with the battle in which he died. Perhaps this was because he was attached to another unit for his skills handling horses - I would appreciate any light that historians may be able to throw on this matter. 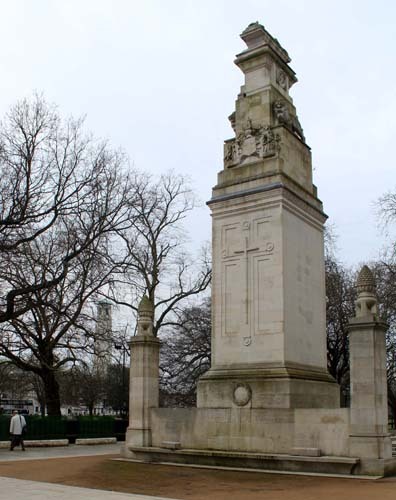 Victor's name is also recorded in the roll of honour at the Cenotaph in Watts Park in Southampton, erected in 1922 to commemorate the dead of the Great War (WW1). 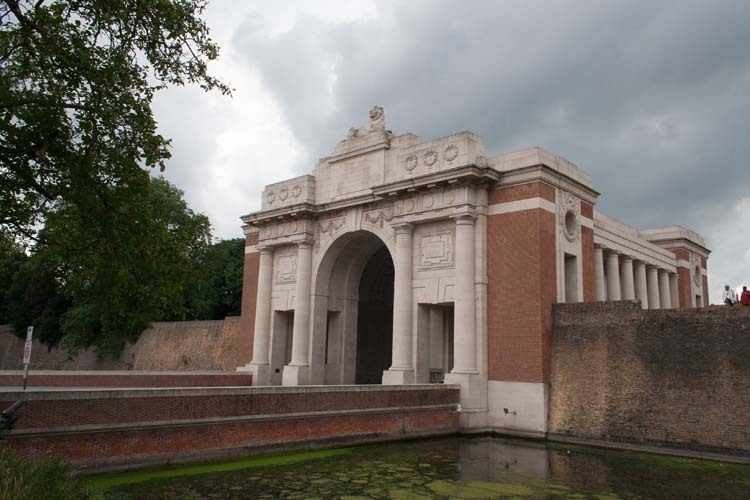 The memorial was designed by Edwin Lutyens, and was used as the inspiration for his London Cenotaph. 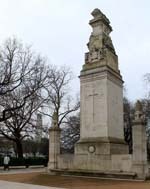 The story of the Cenotaph is worth reading, particularly the problems of collecting names - there is a link below. 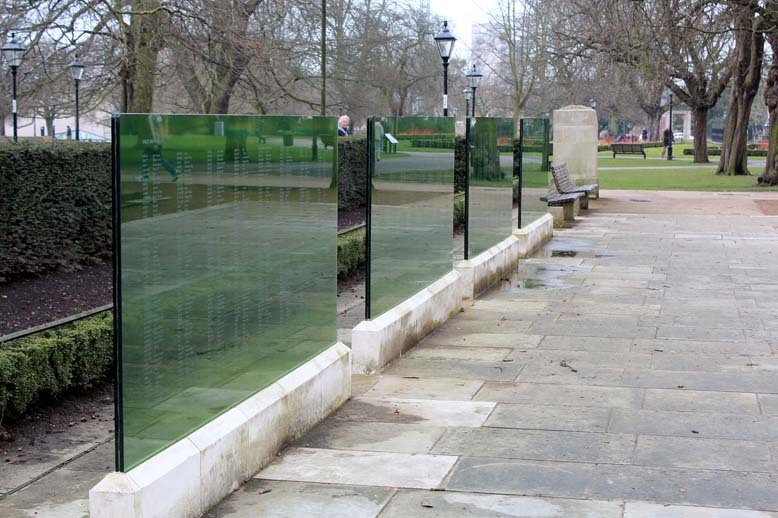 In the 1990s weathering of the Portland Stone dressing of this monument began to be a cause of concern, and in 2011 a glass wall was erected, bearing not only the original names but also deaths in later years. 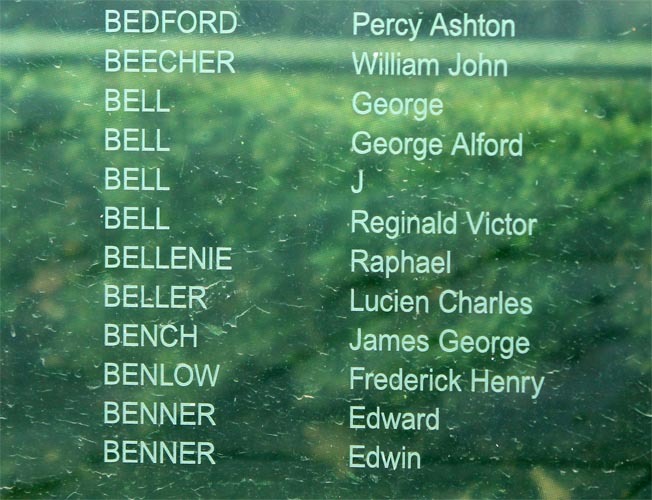 There are two entries with the name Bell, but it is possible that both refer to Victor. Peter Clegg has sent me the adjoining excellent pictures (as always, click on the images to see a larger picture). Read how Victor was remembered by his family on the Jack Bell page.